3by400 performs our own Joomla & WordPress hosting. Why? Because we couldn't find anybody who did it right, in our opinion. 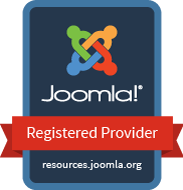 We tune our servers for Joomla & WordPress, we know how to do backups, and we respond to service requests. For tuning our servers, we pay attention to the Apache parameters, the PHP libraries and extensions, and Linux versions. We also keep our ship secure, with a variety of server-wide and site level tools and processes that help in the fight against those who would do your site harm. Backups are to protect your site from fat-fingered 'oops' moments as well as hardware failures. These two categories require two different types of backup, and we provide both. Protection from 'oops' moments means being able to recreate your site as it was yesterday, the day before, or last week. Protection against hardware failure means being able to get your site back to where it was as close as possible to when the hardware failed, both the files that make up your site and the database from which your content is drawn.